No…not Peanut Butter…the Other PB. Also known as…Free Code…Free Code…Who Wants a Free Code? Yes, you heard me…I have not one, but two codes for Preposition Builder to give away. Oh, you’re not familiar with Preposition Builder? Okay…Let me review it first – and then I’ll give you the details for the give away. This one will be fun! 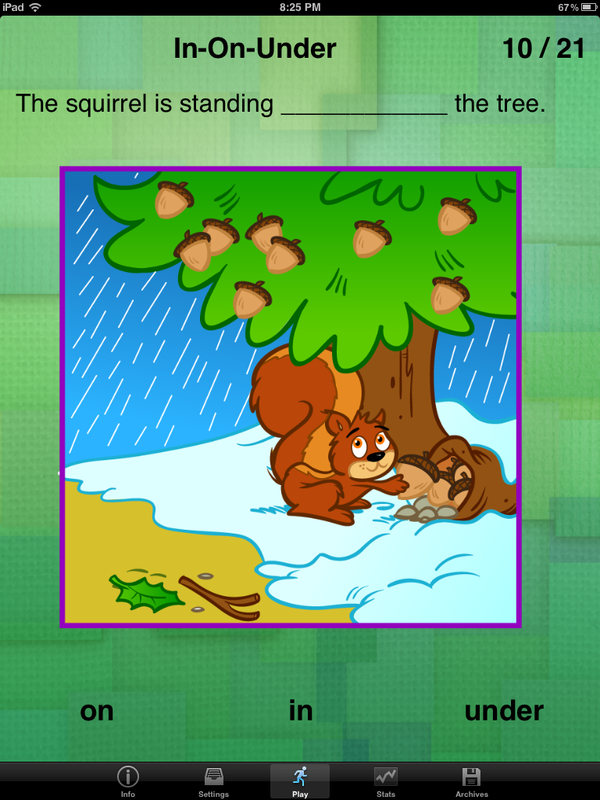 Preposition Builder is one of the apps available by the Mobile Education Store. The app works on various prepositions. The user can choose from 9 groups of similar prepositions (e.g., in-on-under; down-up-off). Other user choices are: Audio Instructions, Correct Answer Reinforcement, and Record Correct Answers. At first glance, this app seems similar to the other Mobile Education store apps and is serviceable…A video stimulus comes on the screen with a fill-in-the-blank sentence. Three or four word choices pop up at the bottom of the screen and the child drags the correct words into the blank. In short…it teaches what it’s supposed to teach. You can see the client is working on “In-On-Under” and the picture stimulus is of a squirrel gathering nuts for winter. At the bottom of the page are the words “On” “In” and “Under.” The client will touch the correct preposition and drag it to the sentence. As you can see the picture changed significantly. This can make for very interesting language discussions to say the least! Unfortunately…it also makes it kind of fun to choose the wrong answer. The price. At $7.99 the price is not bad for an app of this sort. It’s interactive. There are 11 motivator stories that are unlocked as the student progresses. These are animated “cartoon” type activities and fun for the kids. And it’s a functional language need (Oh my gosh, I used the F word!. I’m not able to see a way to easily do groups with this app. Many (most) of my language groups are done with at least two students. I can absolutely USE the app with two students, but the app doesn’t appear to be able to keep data for them simultaneously. There’s the possibility that we could switch between users for each question, but that’s clunky and time consuming…and frankly when I only have 15-20 minutes, not an efficient use of time. This app requires the student to be able to read…OR… at the very least to be able to attend while listening to the question and the answer choices. I’ve had a few clients who have a hard time with this aspect. When that happens, the app is no longer fun and becomes a source of frustration for the student (and me). Overall…I’d say it’s a decent app, and like most of the Mobile Education Store apps, well worth the money. No, it doesn’t do everything I’d like…but really, very few apps are able to meet everybody’s needs. This app does give some fun animations to an otherwise potentially boring subject. It’s great for those kids who are a tad old for “Speech With Milo: Prepositions” or “Preposition Remix.” For my younger students, I still prefer Preposition Remix – but this one is great for those 2nd and 3rd grade students. If you would like to win a copy of this fantastic app…There are two things you have the option of doing. 2) If you are on Pinterest – create a “prepositions” board with a few ideas of how you’d work on prepositions (or other language goals – such as descriptors). Comment here with a link to the board. The game will close at midnight central time on September 18. I will go through the entries and use a random number generator to determine the winner. I’ll declare the winners on the 19th. Although…really…You’ll all be winners because you’ll have some new resources and ideas for teaching these language targets. I love games where everyone wins! Have an awesome weekend! I can’t wait to see what everyone comes up with for the contest! This sounds like a great app, and I’d love to try it, even though many of the kids I’m working on prepositions with aren’t reading yet. I worked on prepositions with some kids today. While they’re still learning, I have a set of cards showing prepositions like on/under/in/behind, using a ball and a box. We talk about the picture, then act it out using a real ball and box. I will add a link to where the cards came from (I found them online), if I can find it. When they’re getting the idea, I like to play hiding games, like I’m sure many SLPs do! With my younger students, I like to use objects – I like the counting bears and I have a collection of small animals which are a big hit (although can get distracting – I save those for kids who need the extra motivation) and then use various objects such as cups, little boxes, etc. to use as a placement reference. I also use following directions with this activity – “After you put the blue bear next to the cup, put the red bear in the cup.” If you have a group, having the kids use their bodies as referents works really well and reinforces the types of directions typically given in classrooms – “Make a line.” “Face forward.” “Who’s first (second, third, etc. )?” “Who’s at the end?” “Who’s last?” The kids love it. And to make it more fun, I have a small stuffed animal that gets passed to the person/position named. I work with preschoolers, so a lot of my activities need to be functional. I like to work with play food or dolls and tell them “put the doll next to the bed”, “put the bottle inside the doll’s mouth”, or “put the pizza on top of the plate.” They really enjoy this because it seems more like play than work. I’ve used this app in a functional academic skills classroom with a group and just entered name as ‘guest’ and kept data on who answered on paper. I was able to use it on a smart board so entire class could see it. They seemed to enjoy the animations. I would also incorporate more of the language goals by asking various “wh” questions such as “where is the squirrel and how do you know?”, “could this really happen, and if so why?”. I would get kids to take turns coming up to move the answer and student would have to ask others if they agreed and justify their responses. Once this activity was done, I would have the kids move about the classroom to get concepts such as, put your feet on the chair, stand behind your desk, tiptoe next to the teacher’s desk. They loved moving and were always motivated. Of course then the students could take turns giving ME directions which they loved! Even at the middle school, they still get concepts like these confused. I often hide themed items around our room for students with cognitive impairments. The students find the item and have to tell peers where they found it using the appropriate preposition. I have worked on prepositions in a few ways…using the idea behind the PLS and having a block or ball moved around another object/bear….either asking the child to “put the block in a specific position” or asking the child to “tell me where the block is” in relation to the object – thus covering both expr/receptive angles….You could also physically put the child in the position to move around a chair and tell where they are standing or to put their arm/leg somewhere in relation to the chair…Sometimes I find this more useful as the kid needs to physically experience it. Also, there are some great Super Duper games that require the child to match the picture of where the dog is or the flamingo (depending on the game)…. and,, in order to get the child to expressively identify the position I have them tell me where the animals are in each picture. Hope this helps! Would love to add this app to my repertoire! I also use boxes and small objects with the children I see. A toy bus and people can be motivating for the younger students as they then get to take the toys for a ride – this is good for in, in front, behind and next to. I often use the swords from Pop Up Pirate. The children are asked to place them in a certain location (or collect a sword from a particular spot) and then they put it in Pop Up Pirate. I later move onto paper tasks and drawings as the younger children tend to be confused by the pictures initially. 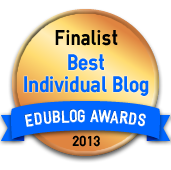 I love all the Mobile Education apps that I’ve tried! When teaching prepositions, I tend to start with manipulation of real objects. I also sometimes do movement activities like Simon Says (e.g., “Simon Says, sit UNDER the desk, put your hands ON your head, etc.”) or play hiding games when I have groups of 2 or more where they follow my direction to hide a toy or object under/on/behind/in something and the other student(s) closes his/her eyes and then goes to look for it and tells where they found it. Honestly, I haven’t stumbled on a great way to teach these concepts, yet. Having an app on hand for days when there is no planning time never hurts! With younger children, I created a photo story book. I use my digital camera and take the child/children out in the schoolyard (e.g. The play equipment). I then get the children to pose in different locations around the play equipment incorporating prepositions. We then upload the photos on the computer and create a book. The children love it, practically because it uses pictures of themselves. It works well for Autistic children too! I like using the Lakeshore Learning Prepositions Box with little ones. Gives them something tactile to use while learning. We also do physical movement “under the table”, “next to the door” where we act out the prepositions. Ooh . . prepositions are a FAVORITE with me! I have lots of things I do. In the very beginning of working with a student, I use a small toy (such as a small rubber ducky or a small toy animal or vehicle), a clear plastic tub, and a piece of paper towel tube or fairly large pvc pipe. My character ‘moves about’ the props, going ‘in’ the box, ‘out’ of the box, ‘under’ the box (hence the CLEAR box so the child can still see the toy), ‘through’ the tube, ‘around’ the box or the tube, jumps ‘over’ the tube, hides ‘behind’ the tube or the box, hides ‘behind’ me or the child, etc. Most of my students have minimal verbal skills, so I will then introduce the picture symbols for these prepositions and have children select the appropriate term, moving to phrase-building, etc. For fun, I have the kids tell me ‘where’ to put the animal or toy, then verify with them. Beyond that, I have a nice set of ColorCards with cool pictures representing various prepositions, and I’m always looking for fun shared activities online. Still haven’t found a great iPad app for prepositions, but then I haven’t tried PB yet. 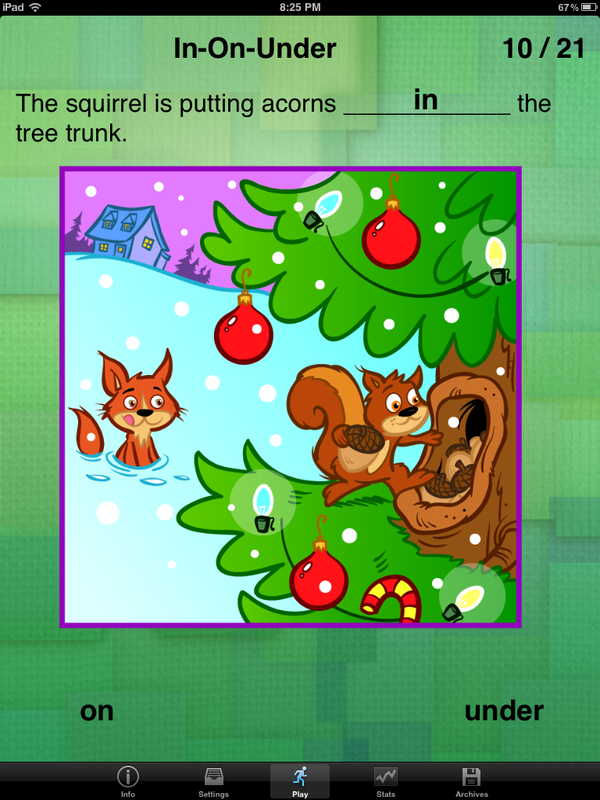 I know Mobile Education makes quality apps (love Sentence Builder and Question Builder! ), so I am sure this one will be great, as well. The child I work with is a visual spatial learner and loves to draw. I illustrate the preposition by using a felt board and by doing a physical activity such as having him put something “in” a box.. Once he gets the idea of how the preposition is used, I give him a piece of paper where he would draw something that shows the preposition. I always start with objects first. Some of my favorites are my farm toys that I purchased from hobby lobby and toys r us and a barn. I teach prepositions two ways: one is by having the child point to the object, i.e. point to the chicken on the barn; two is by having the child put the object in a certain position, i.e. put the chicken under the bucket. I also like to teach object to object and object in relation to self, which is basically “chicken on the barn” vs. ball behind child. After using toys, I like to work in the environment (I’m at a rehab clinic). So, we will go to the fridge and find something next to the milk, go to the shelf and get the toy behind the bubbles, go to the materials closet, etc. Then, we move to pictures and apps. Lately, as a cue/reference for the kids I will set up small cups and beads in the different positions (in, on, under, etc) we are working on, close to kid, but far enough away that they are out of reach. Whatever we are working on, if the kid needs help I will point to the set that we were targeting as a cue. Some of the apps I have used include Preposition remix, sticker apps that I can set up a scene, Splingo, and PB. Some materials, preposition pigs deck, a box set called Positions that I got from amazon that has objects and visuals and my recent favorite Mario stickers from party city. I have two kids working on preps. and they love Mario. What I did was print a background mario scene and I put the stickers into different positions and then I laminated some of the remaining stickers and the kids loved working on their preps. when Mario was involved. It worked great for receptive and expressive tasks. I love PB and hope to get it for my work.